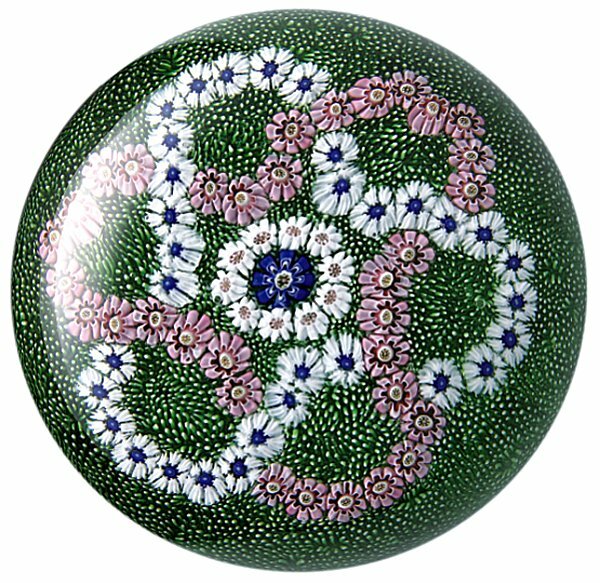 Bergstrom-Mahler Museum of Glass holds the largest, most representative collection of glass paperweights in the world. 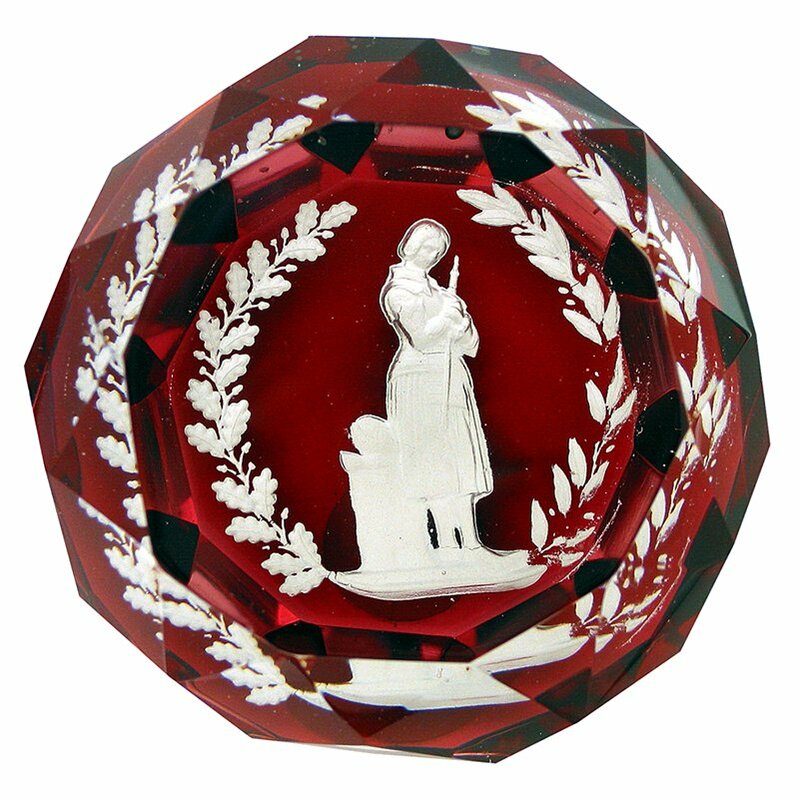 The museum’s collection began with 652 paperweights – mostly antique – bequeathed by Evangeline Bergstrom in 1958. 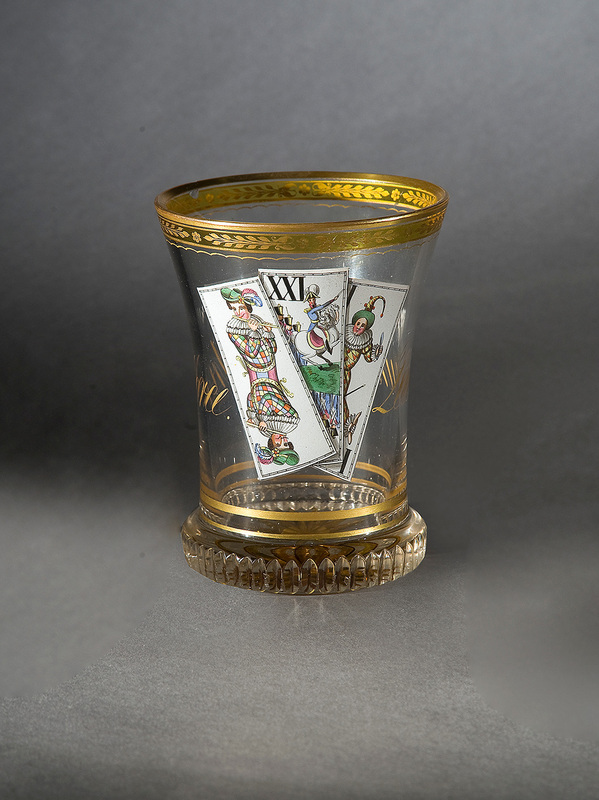 Today, the collection totals nearly 5,000 objects, many of which are on view. 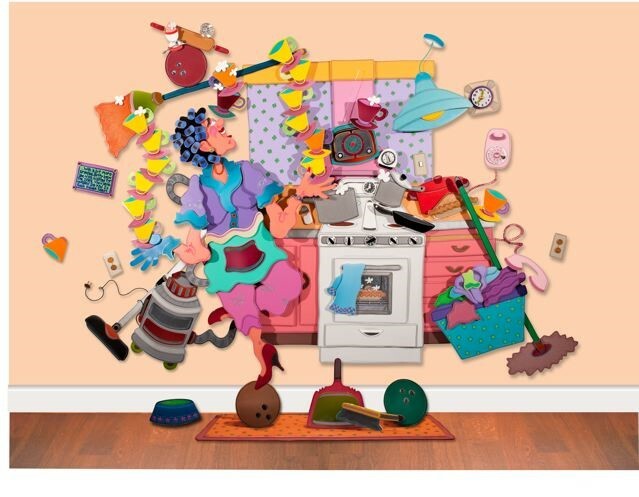 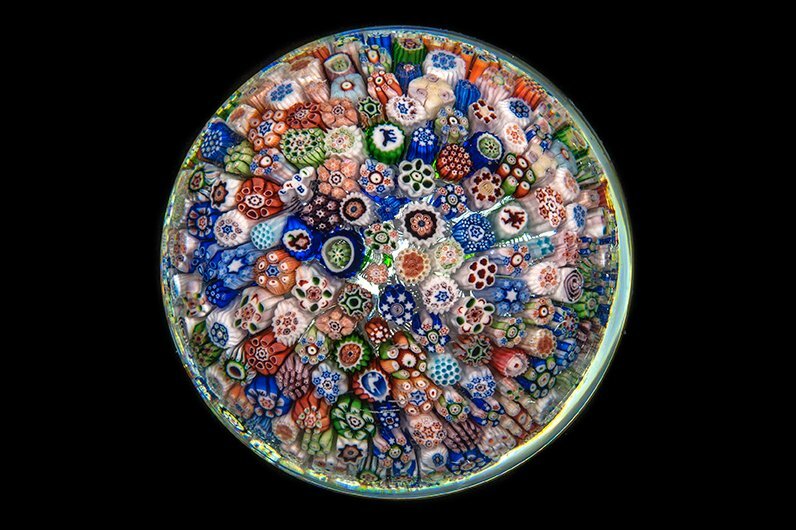 Here, you can find an encyclopedic overview of this art form that originated about 1845. 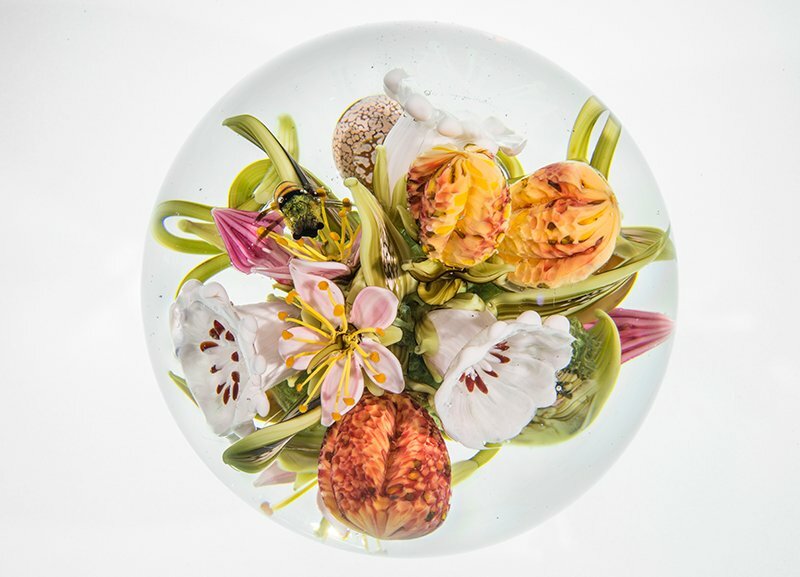 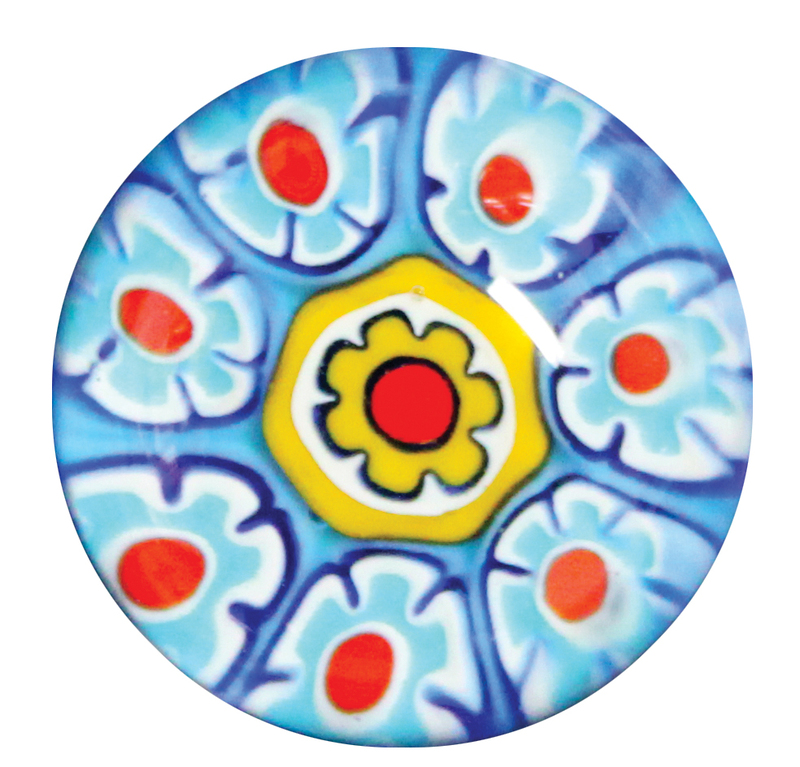 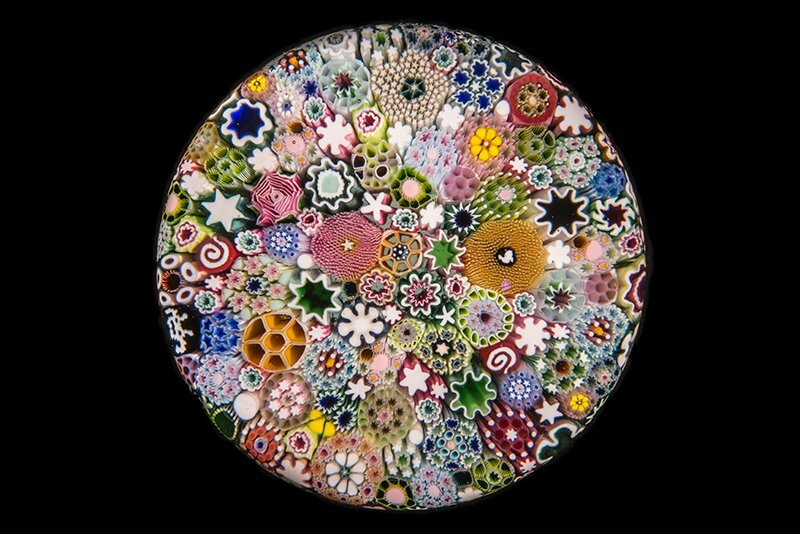 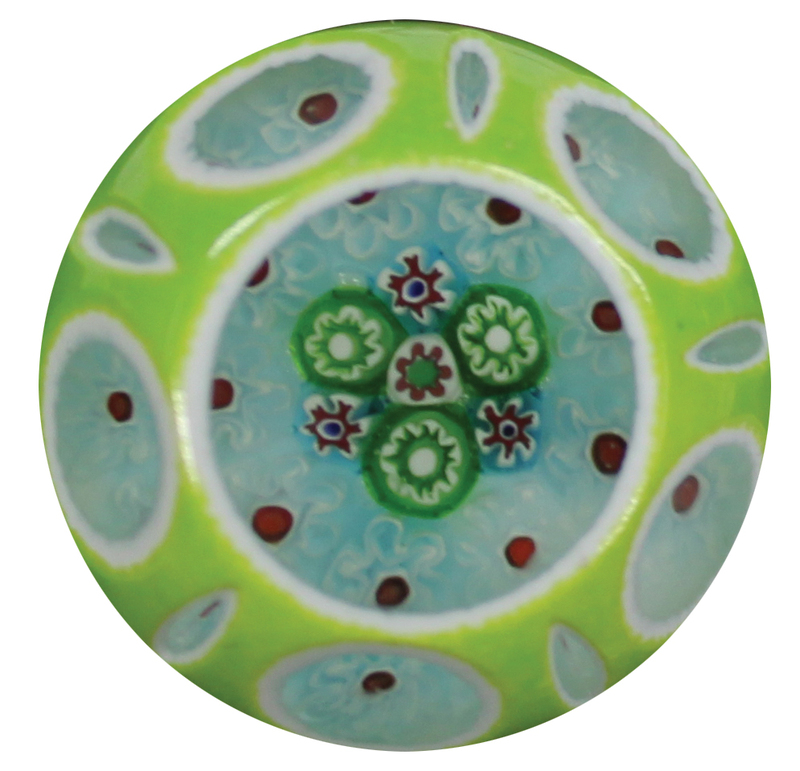 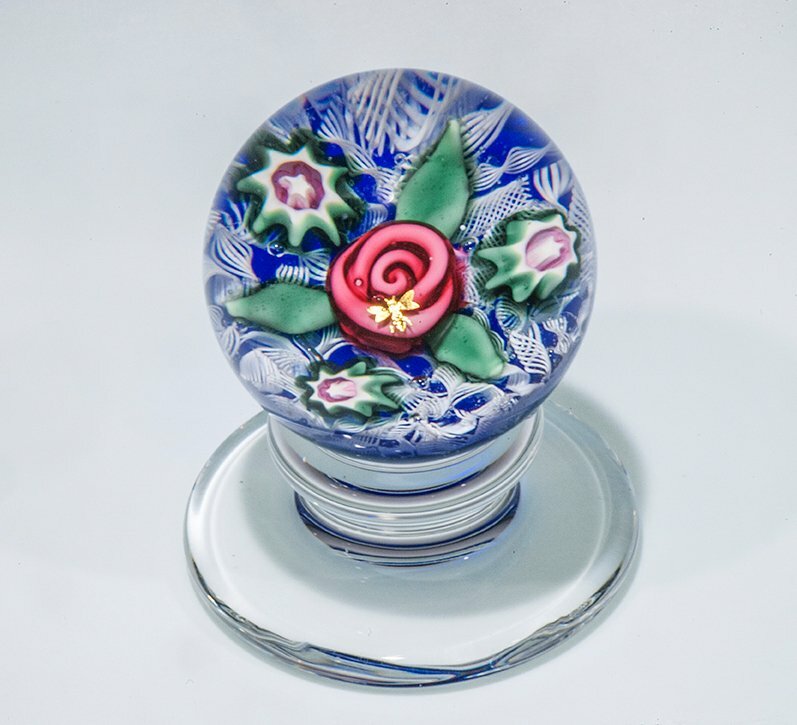 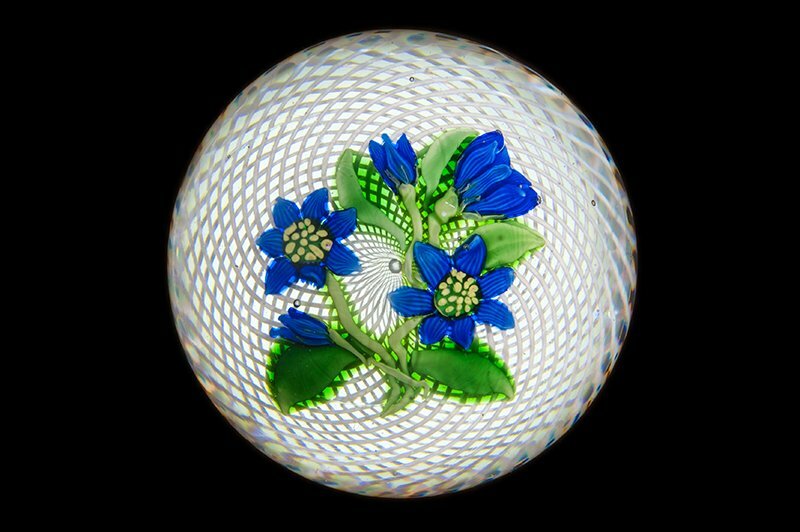 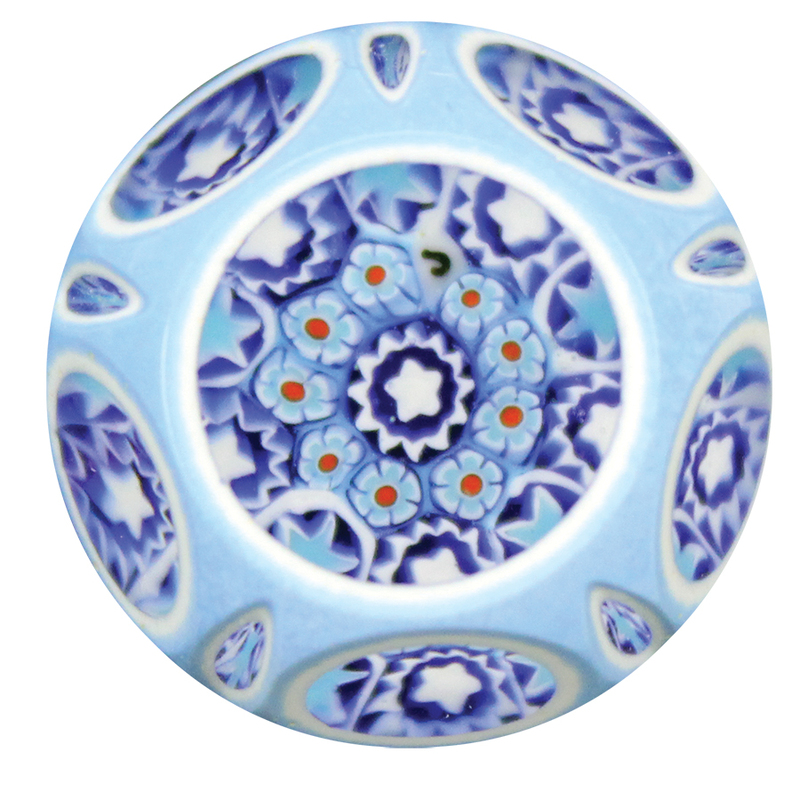 The 19th century paperweight styles were created by some of Europe’s finest glasshouses in Italy, France, Germany, England and later, the United States. 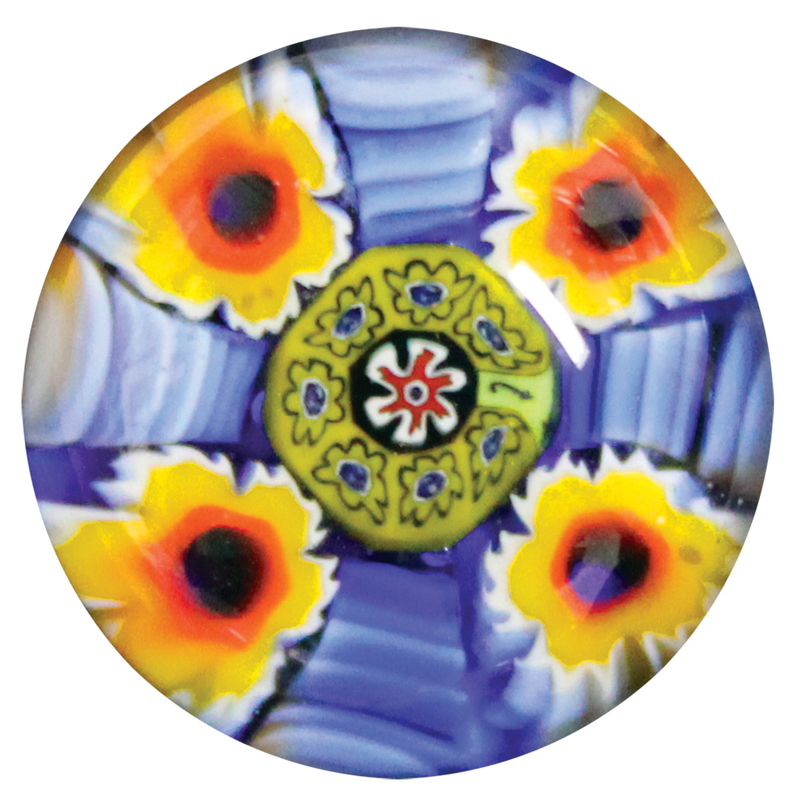 Today, some of the most renowned individual artists showcase remarkable individualized styles and skills. 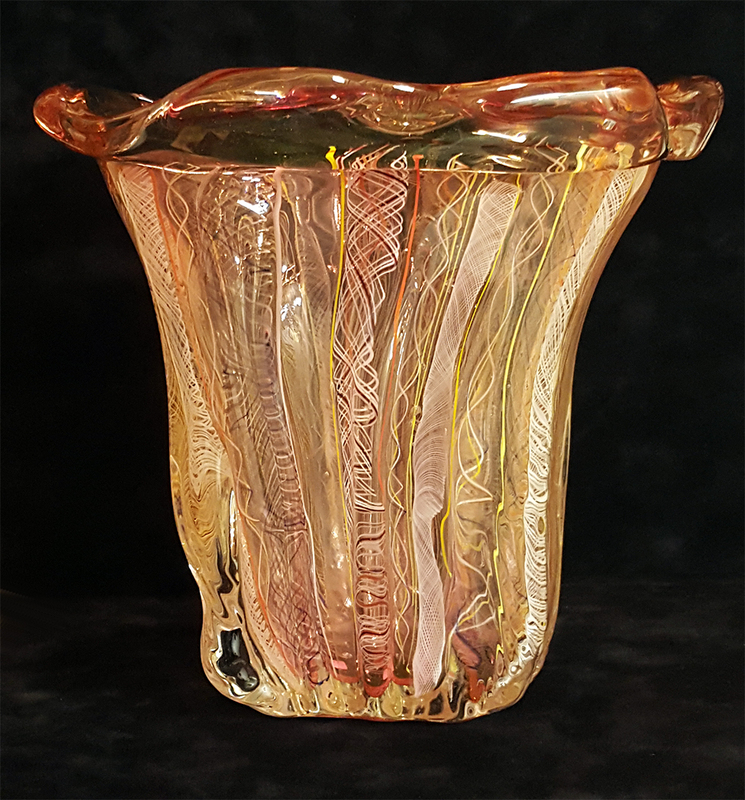 The collection includes work by Charles Kaziun, Delmo Tarsitano, Dominick Labino, Paul Stankard, Peter McDougall, Rick Ayotte, Cathy Richardson, and many other extraordinary artists. 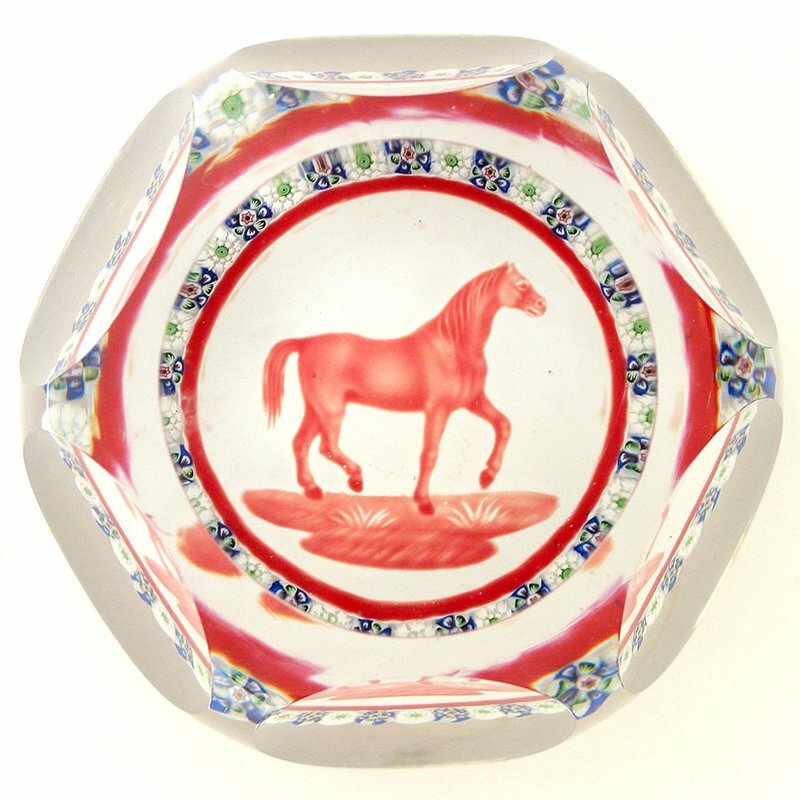 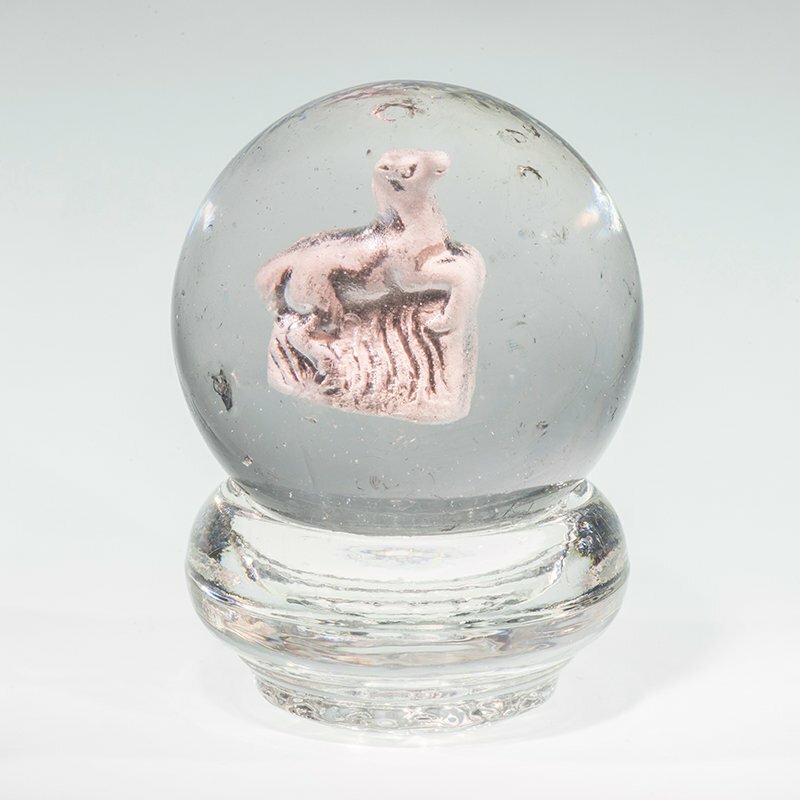 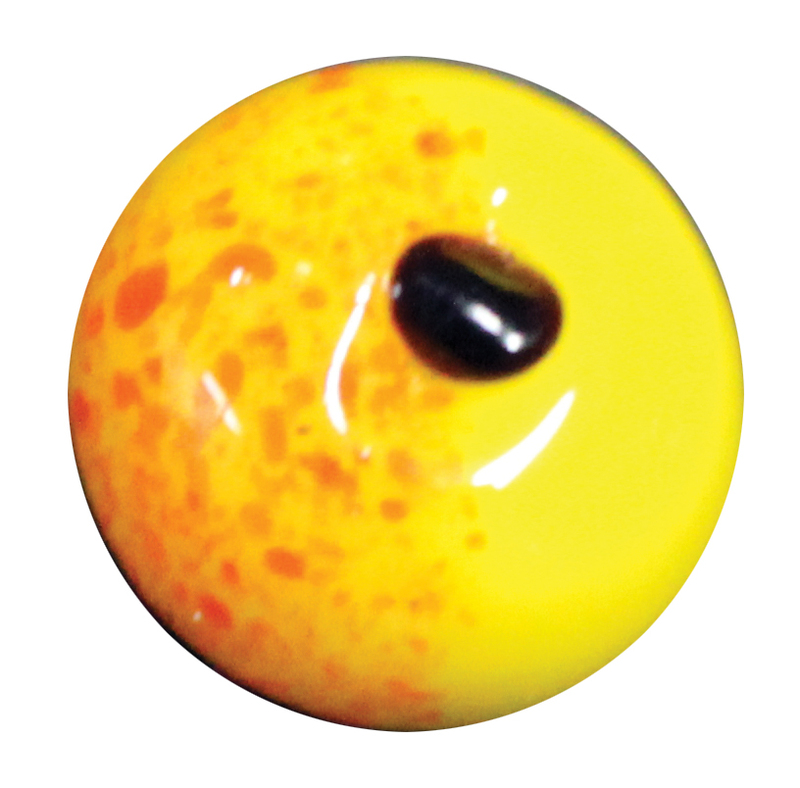 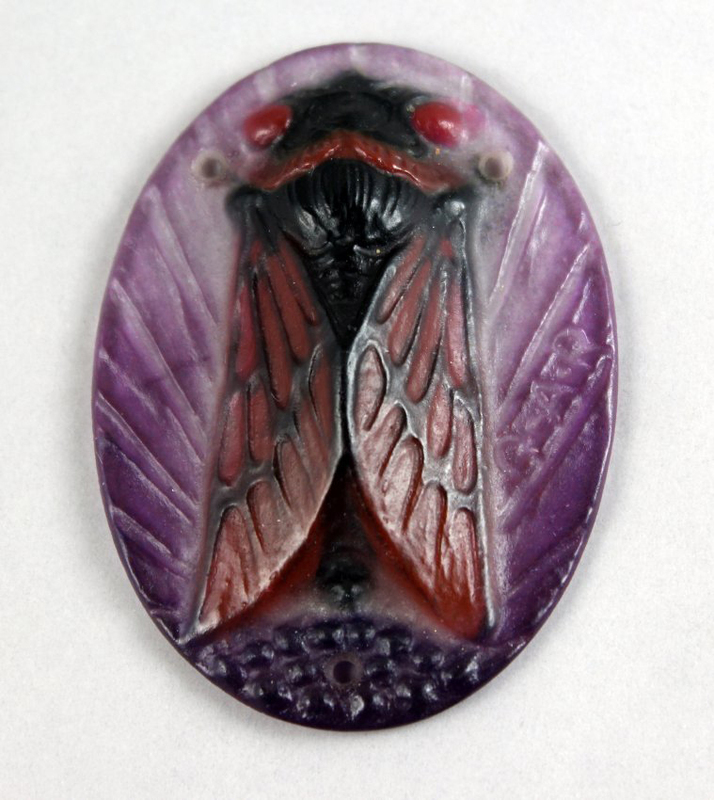 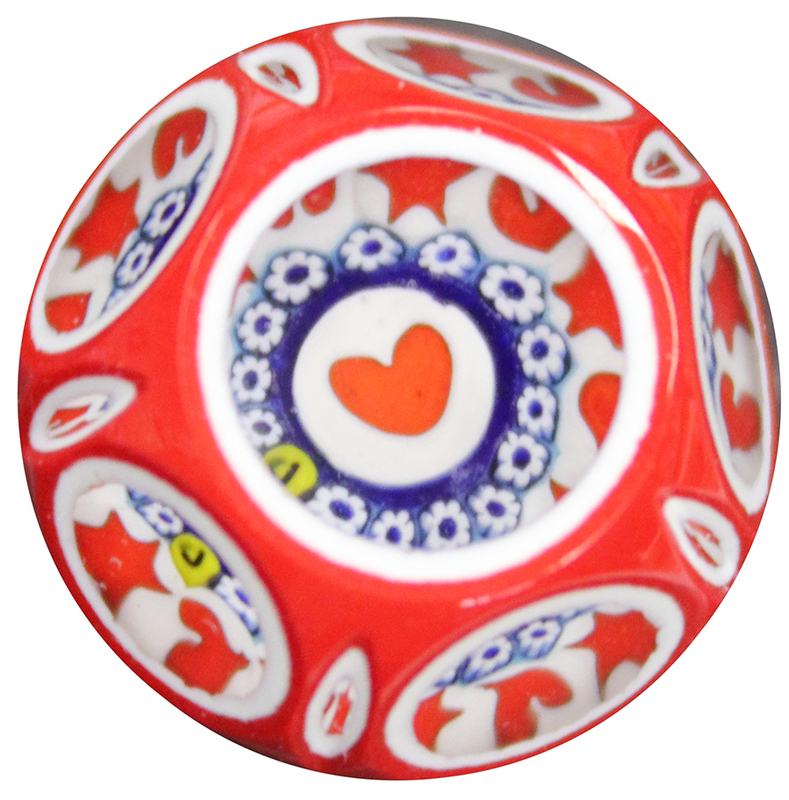 The museum collection contains a nearly encyclopedic collection of Perthshire paperweights produced between 1968 and 2002. 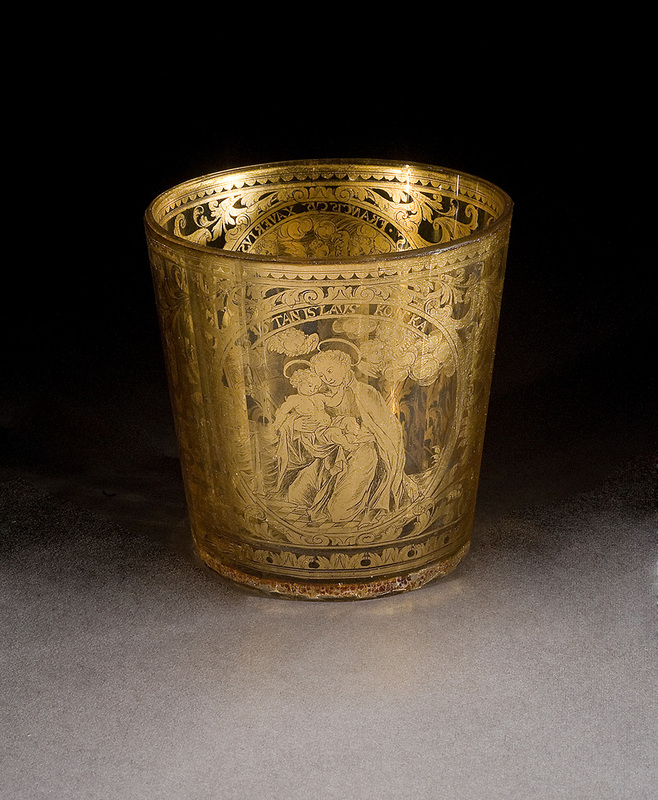 See more of our collection on Google Arts & Culture. 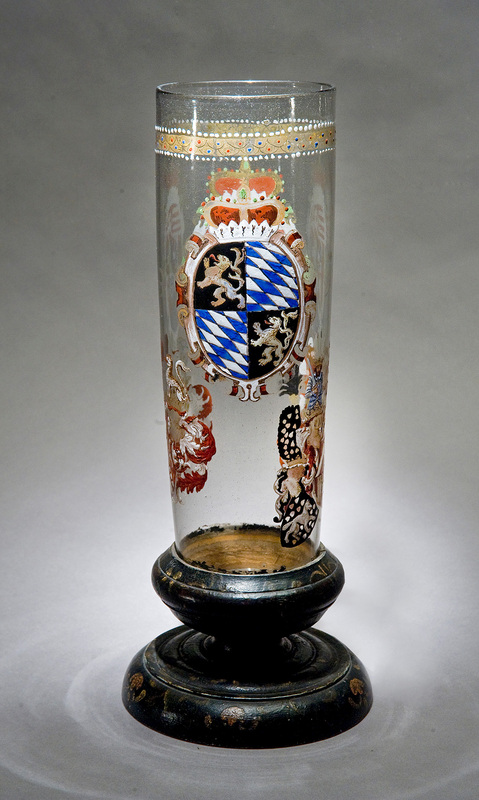 The Mahler Collection of Germanic Glass spans three centuries of glassmaking in Northern and Central Europe with the earliest example dated 1573. 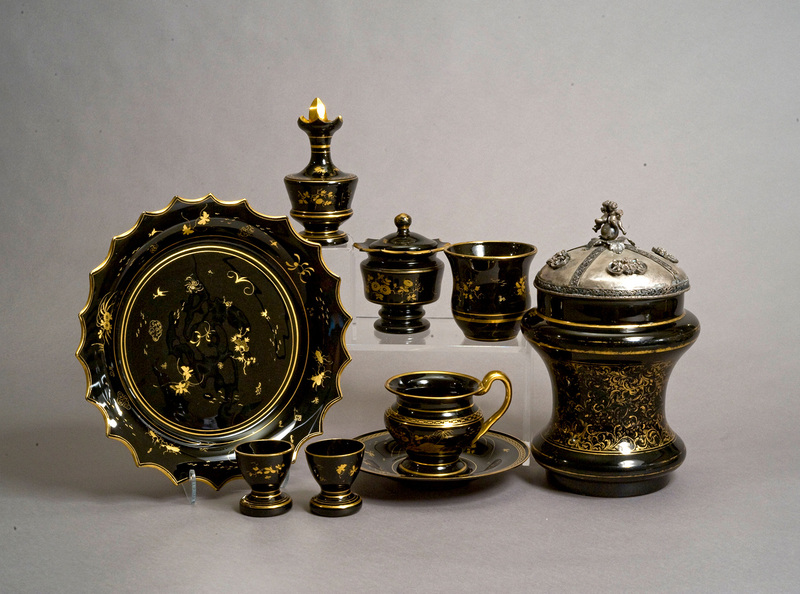 The collection was donated to the museum by founding members, Ernst and Carol Mahler. 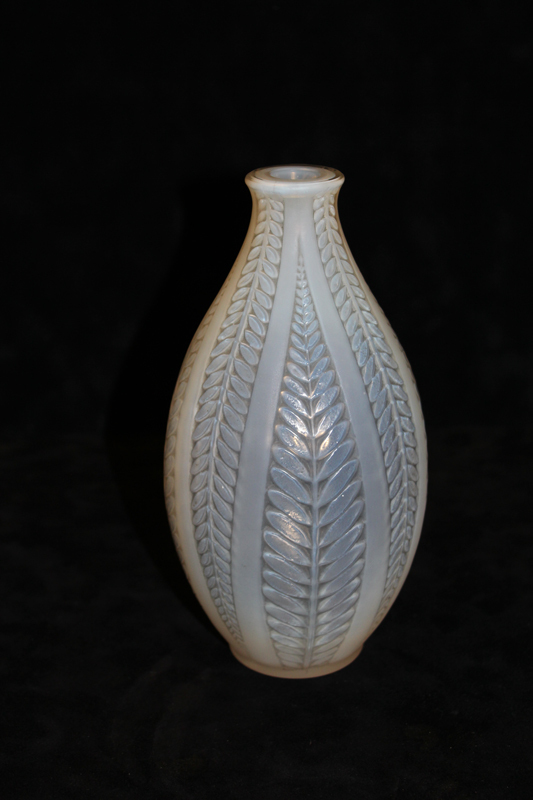 Ernst was an Austrian immigrant who moved to the United States to work for Kimberly-Clark Corporation as a chemist. 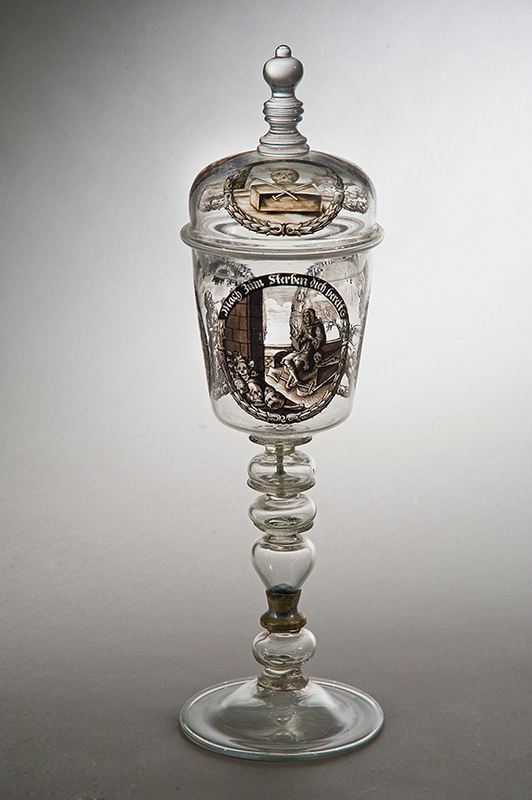 He is credited with inventing the cellu-cotton wadding formula for such products as facial tissue. 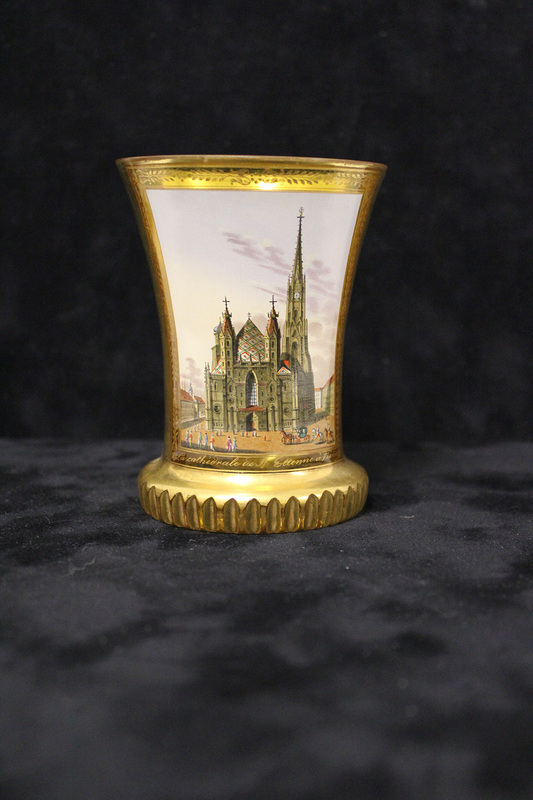 The Mahler’s love of European craftsmanship is evident in the choice of this collection which contains exquisite examples by some of the finest craftsmen of the day. 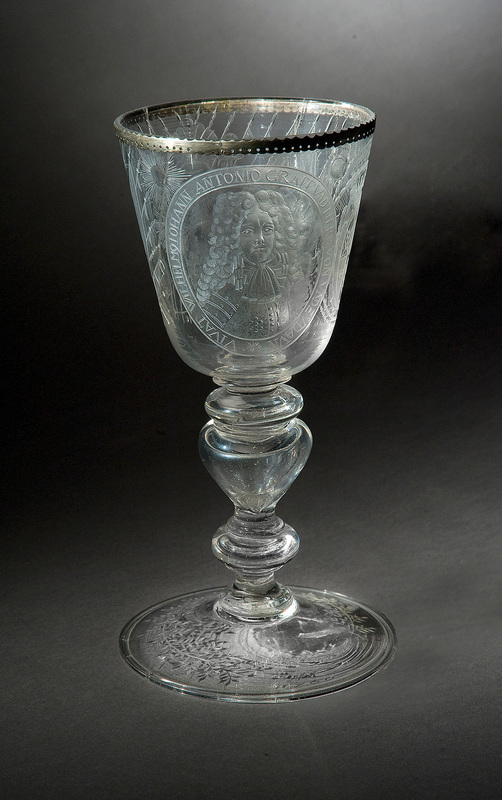 It gives testimony to the splendor glass achieved in the Austrian Crown Lands of Bavaria, Saxony, Brandenburg, Hesse, the Rhine Duchies and Hanover, as well as a number of the Free Imperial Cities. 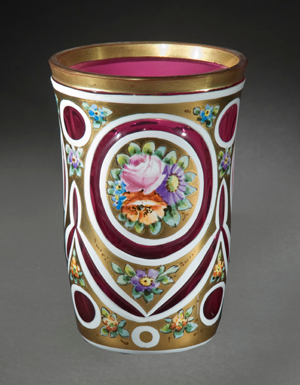 This collection expertly traces changes in decoration, style and social customs ranging from early enameled ceremonial vessels to exquisite engraving, and detailed transparent enamel painting to the height of 19th century achievements in colored glass. 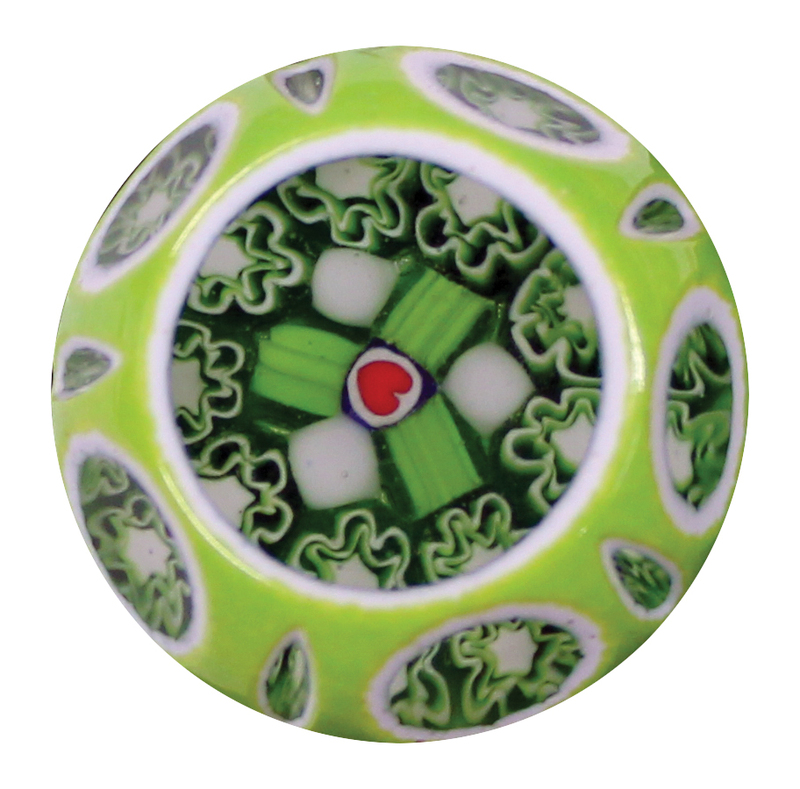 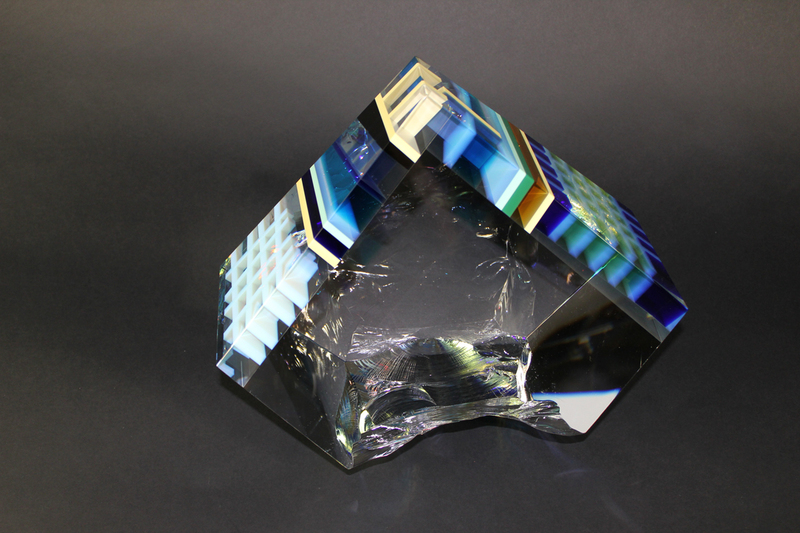 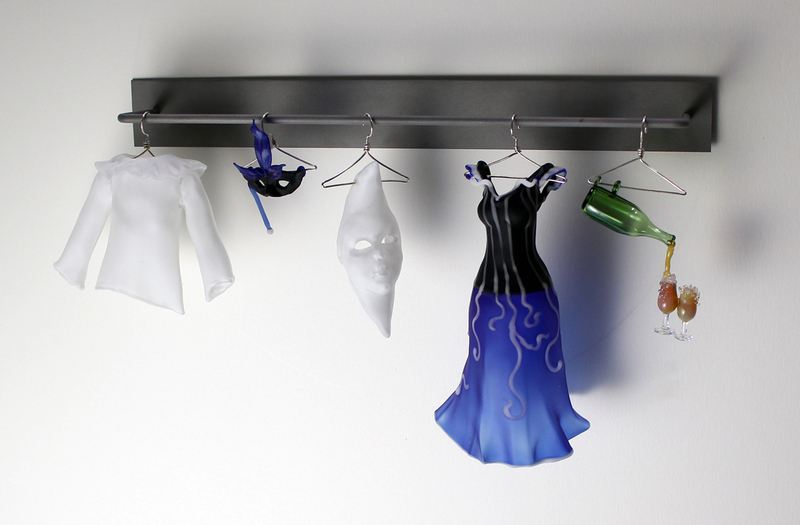 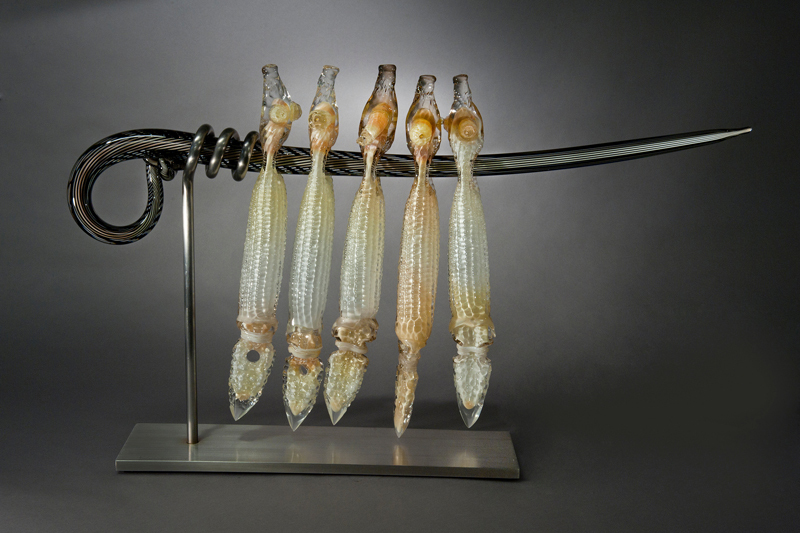 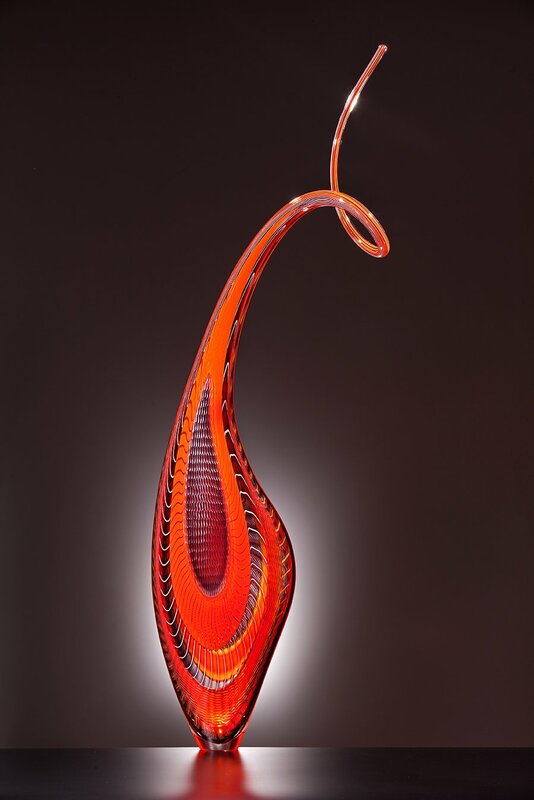 The Studio Glass Movement began in the United States in 1962 and created a new artistic path for glass. 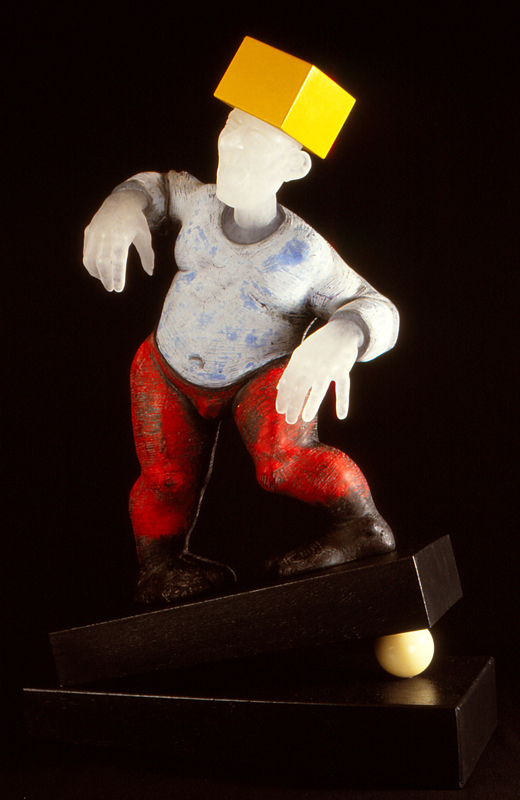 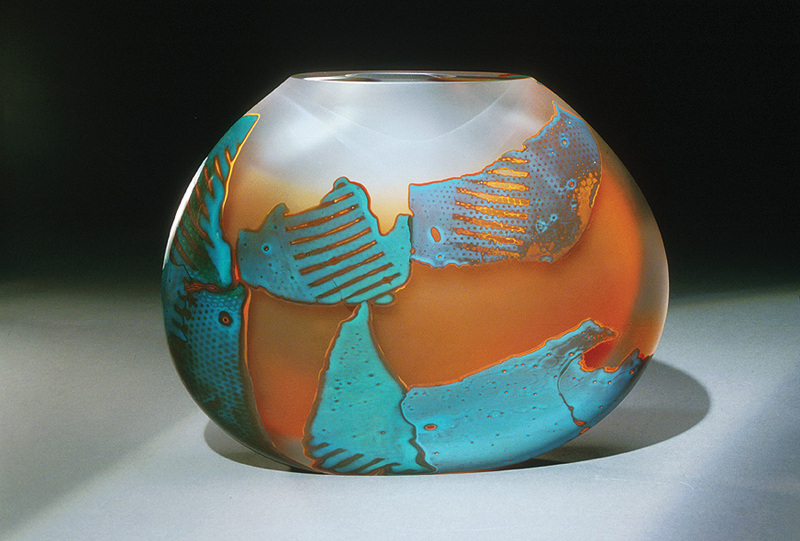 Availability of glass as an artistic material was expanded from its factory origin to individual artist studios. 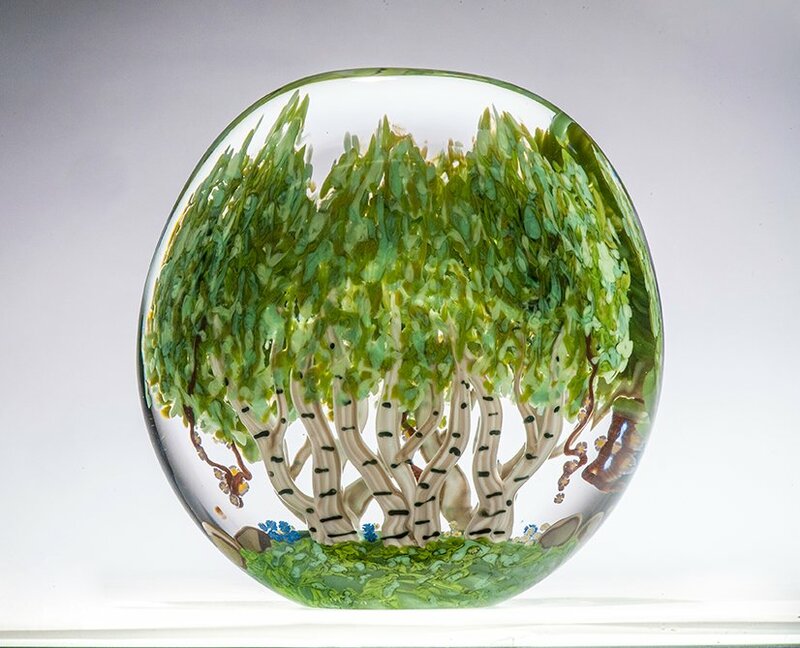 Those who pioneered this direction, Harvey Littleton and Dominic Labino, are represented in this collection, along with work by many other artists, which demonstrates the international reach of this creative direction. 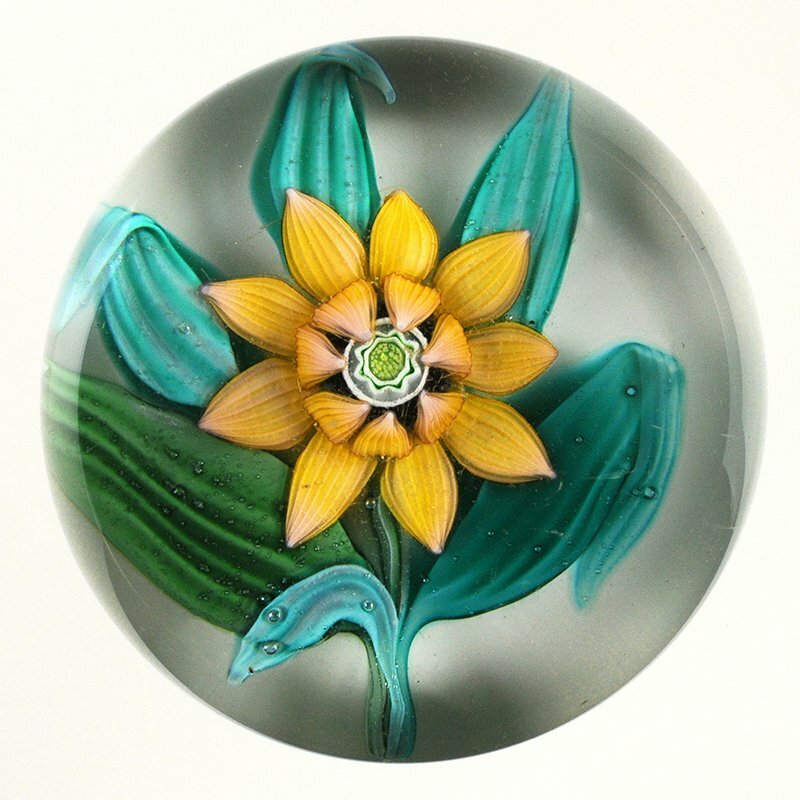 The 19th and early 20th centuries were experimental, prolific and highly competitive times in glassmaking. 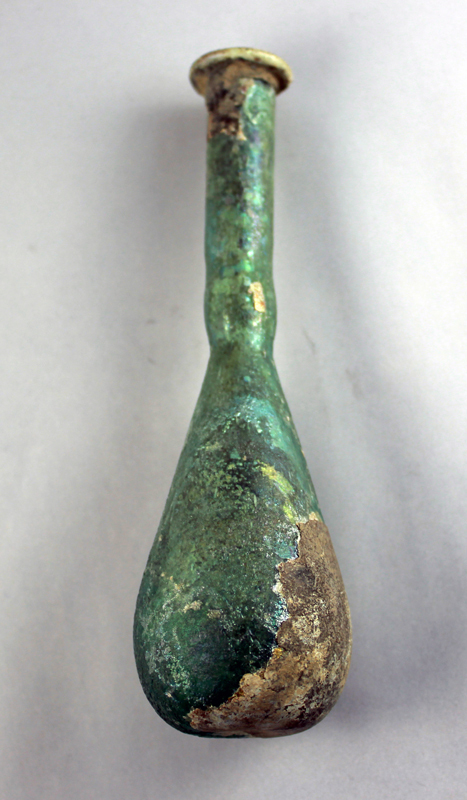 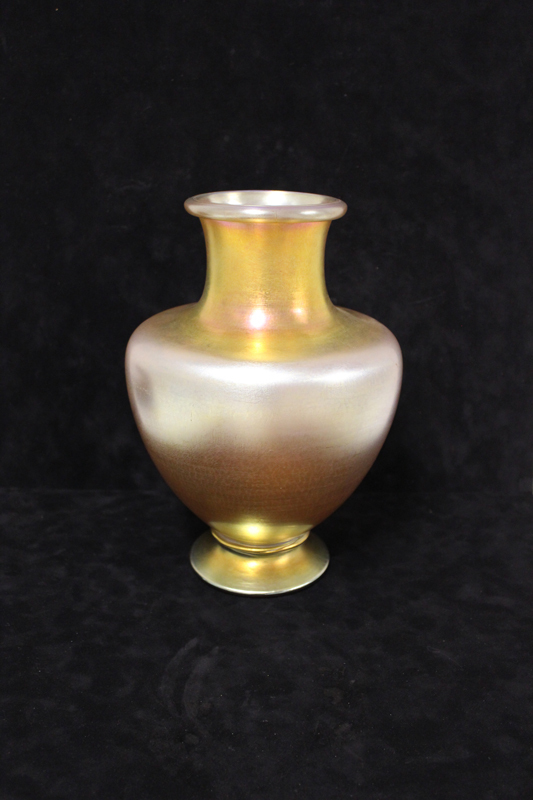 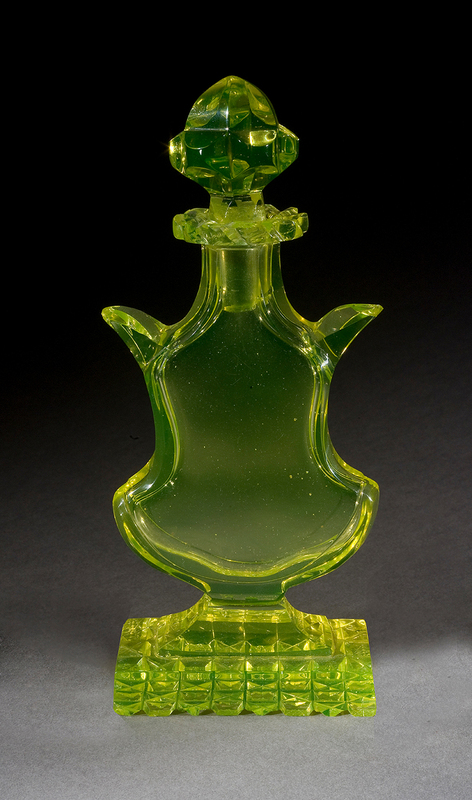 During this period more formulas were created or rediscovered from earlier times than perhaps any era in glass history. 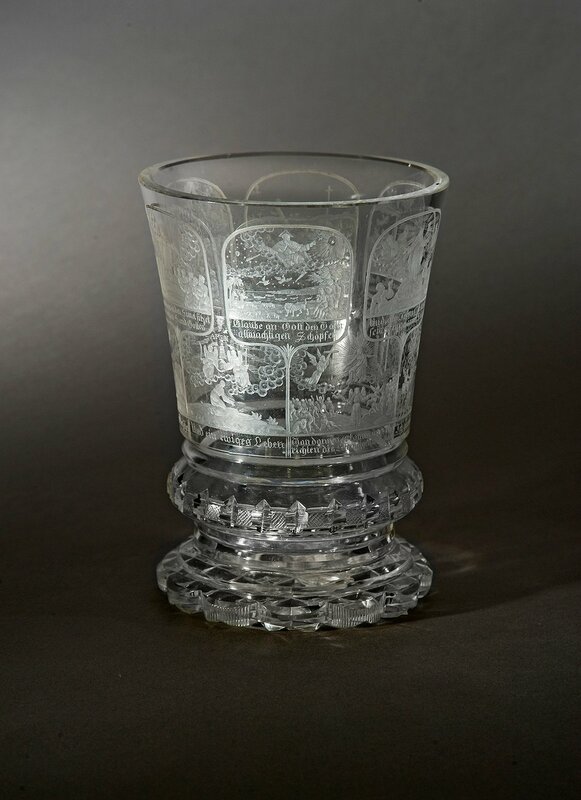 New home goods were created to suit the rapidly changing interests of the rising Victorian middle class and their penchant for decoration that demanded much color and pattern, or brilliantly cut crystal. 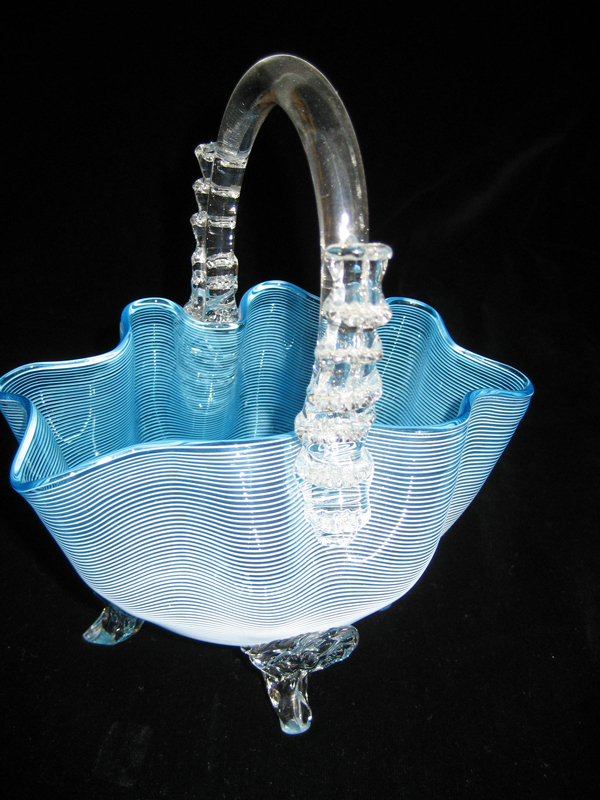 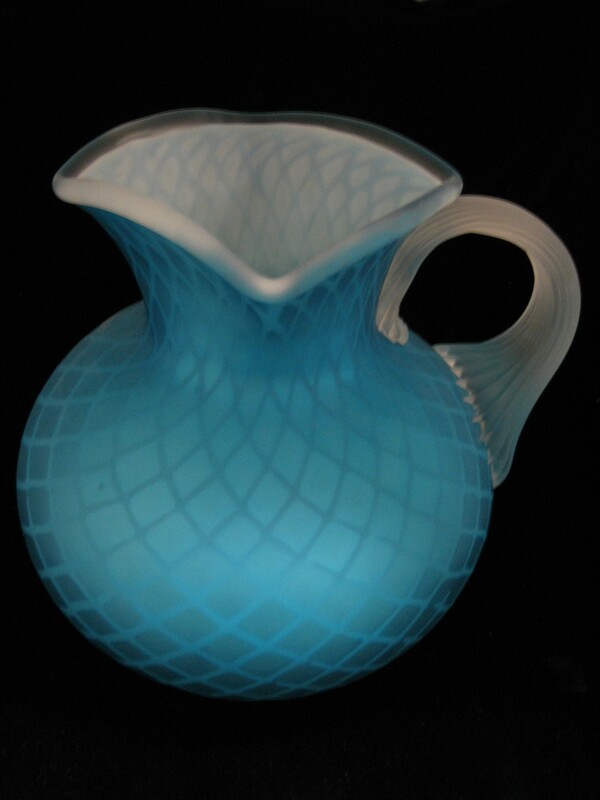 The Victorian art glass collection at Bergstrom-Mahler Museum of Glass began with basket forms collected by Evangeline Bergstrom that demonstrated new formulas and patterns, as well as rediscovery of ancient ones. 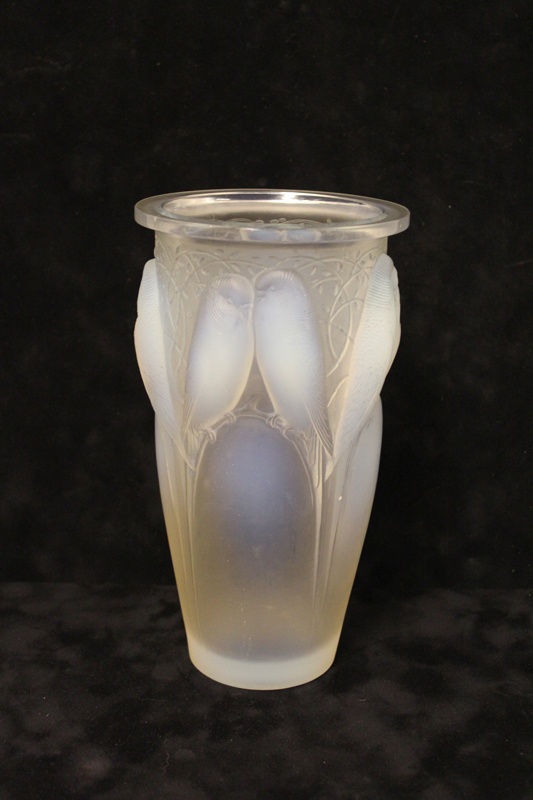 It has expanded to include works by René Lalique, Louis Comfort Tiffany, Fredrick Carder and Joseph-Gabriel Argy-Rousseau. 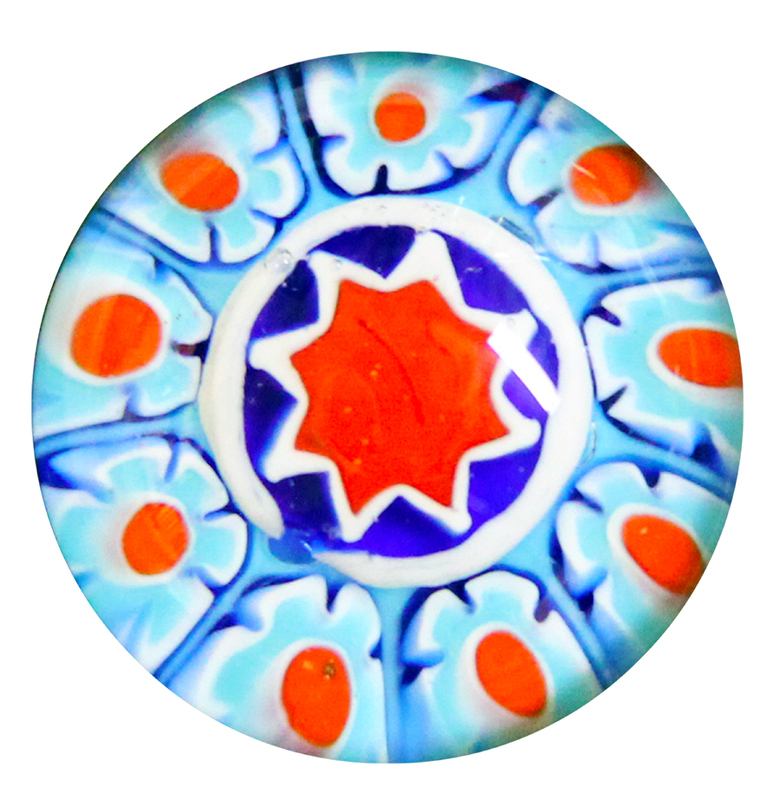 This collection not only typifies the Victorian decorative tastes, but also demonstrates the competitive atmosphere prevalent among the glass makers of this period. 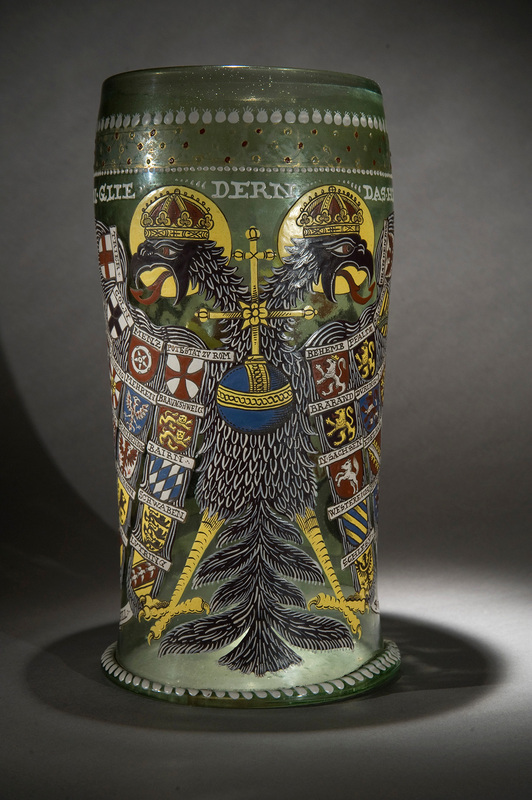 See more of our collection on Google Arts and Culture. 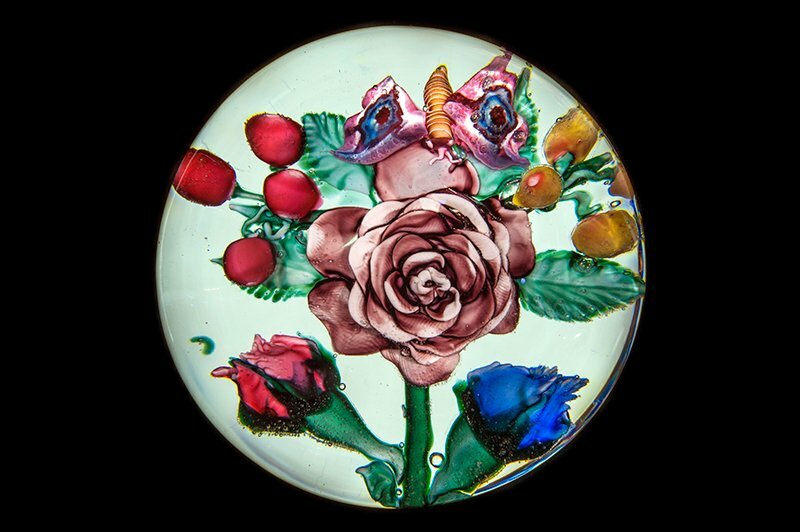 Bergstrom-Mahler Museum of Glass began with the diverse curiosity shown in the collection of Evangeline Bergstrom who not only collected paperweights with great authority, but glass objects that helped explain them. 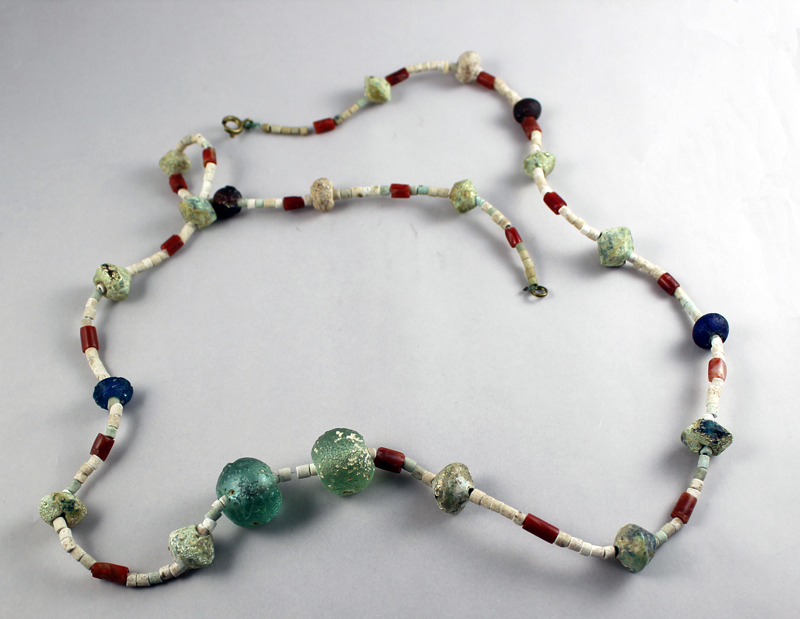 Her collection included Roman shards with millefiori patterns, ancient beads and a variety of other objects. 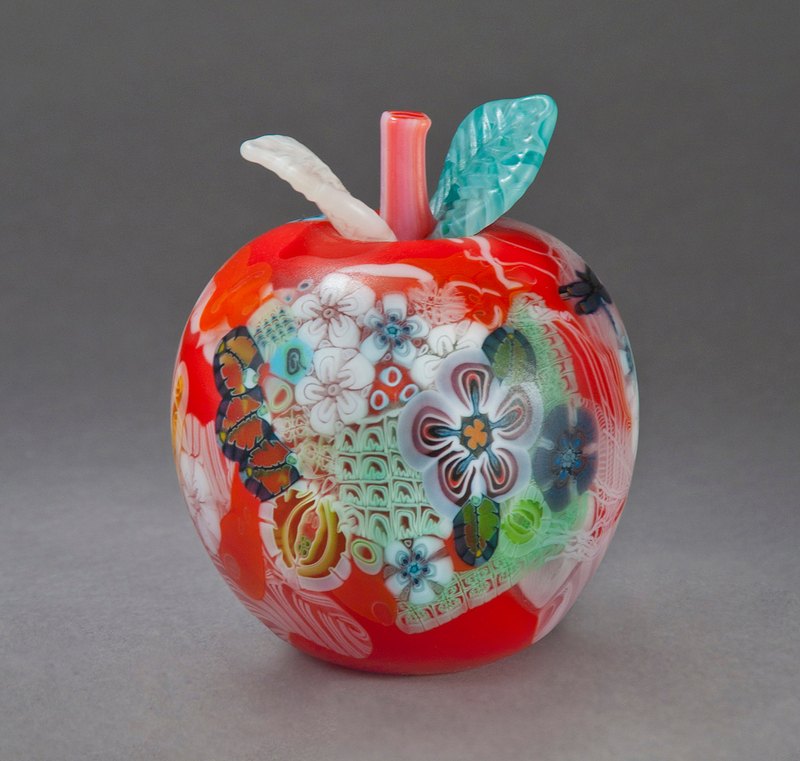 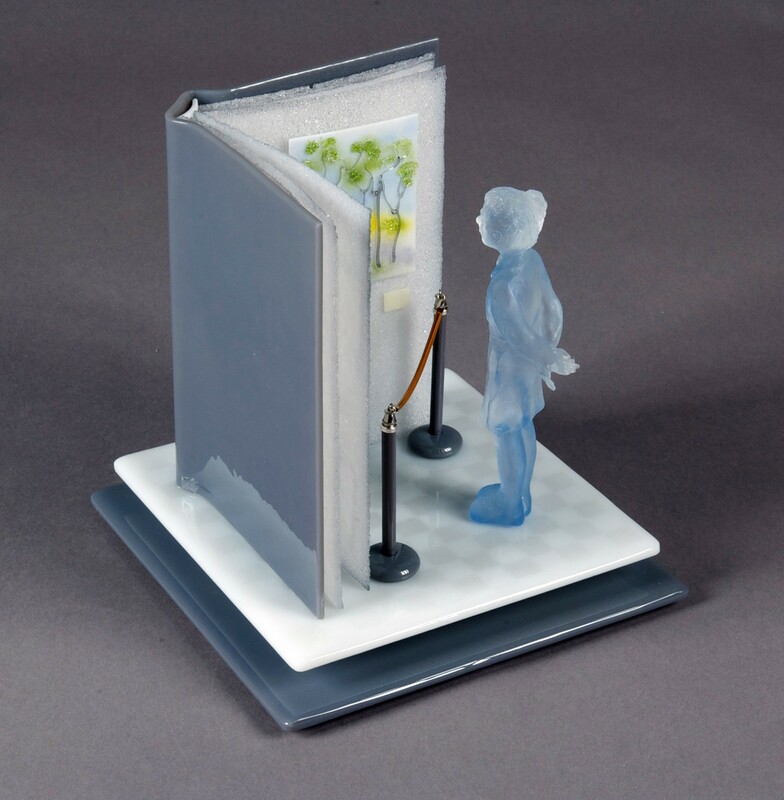 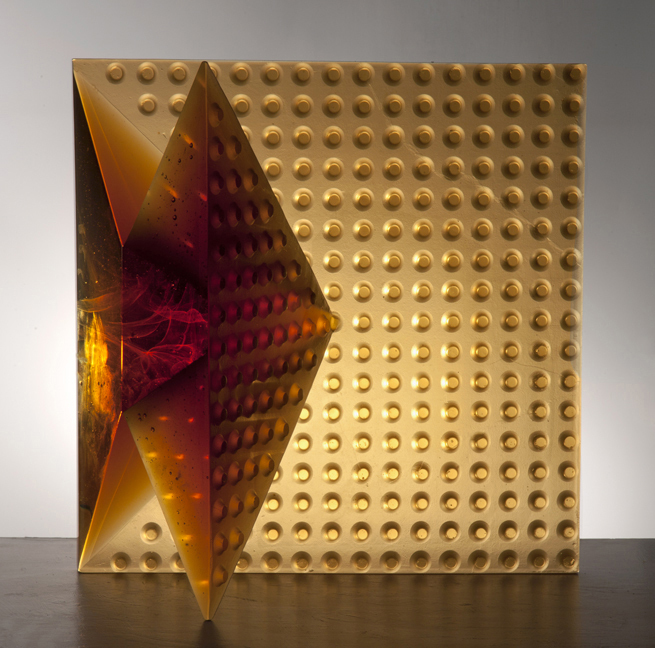 Today, Bergstrom-Mahler Museum of Glass continues that passion to explain the long history of glass through the objects it collects in an encyclopedic manner. 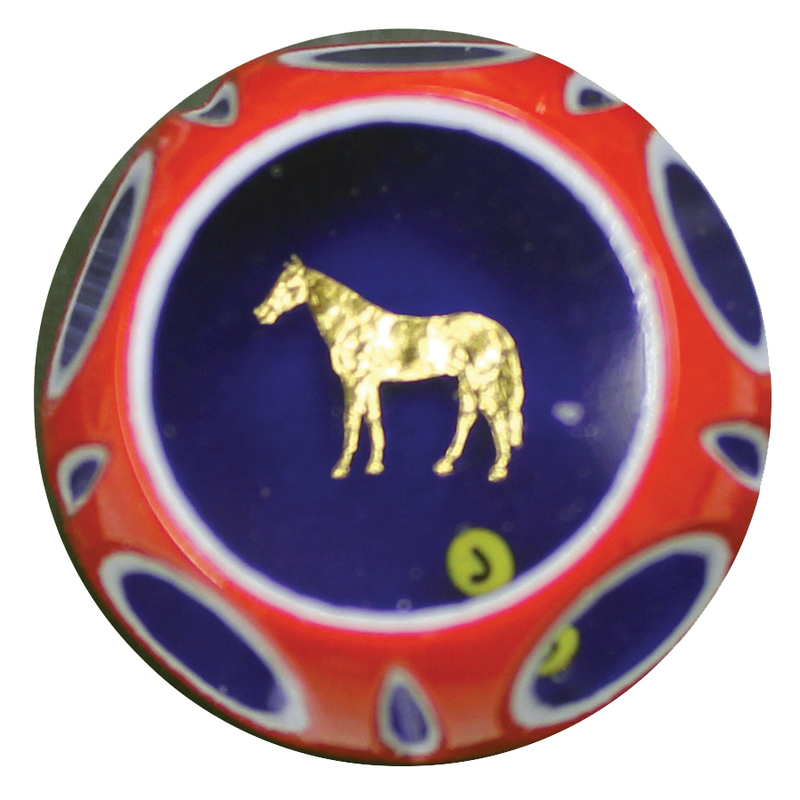 The museum also holds a collection of 300 glass buttons by renowned makers like Charles Kaziun, John Gooderham, and Loren Stump; glass tools and equipment; as well as, a few small blown objects of Roman origin. 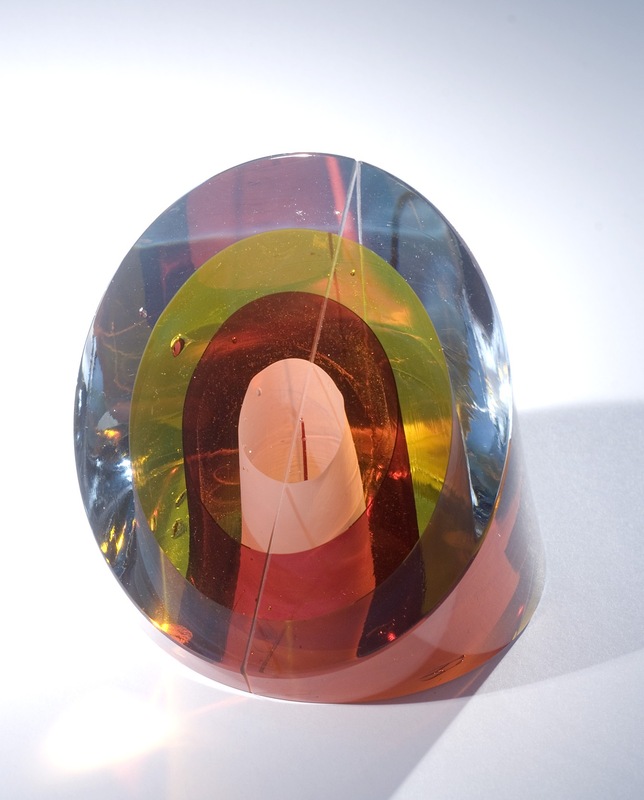 The museum continues to search for objects that explain the changes in techniques, new discoveries and objects that continue to define the path of glass ahead.